Pentecost falls this year on Sunday, May 24th, and it’s a mobile feast depending on Easter, as it occurs on the 50th day following Christ’s resurrection. Pentecoste commemorates the descend of the Holy Spirit on earth precisely after the sacrifice of Jesus, whose blood is represented by the red rose petals. This rite dates back to the time of the earliest Christian communities, when the former pagan temple dedicated to all the gods (hence the name “pantheon”) was converted into a Church. 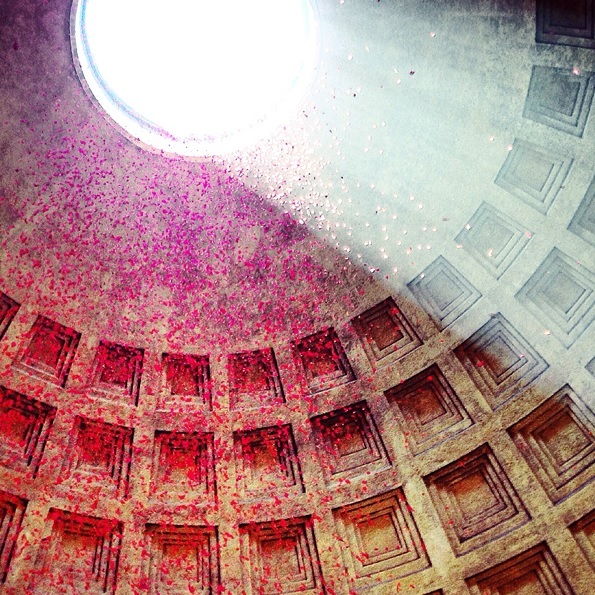 To reach the Pantheon from Termini station just catch bus #40: ask our staff at Carlito Hotel & Hostel for more details!